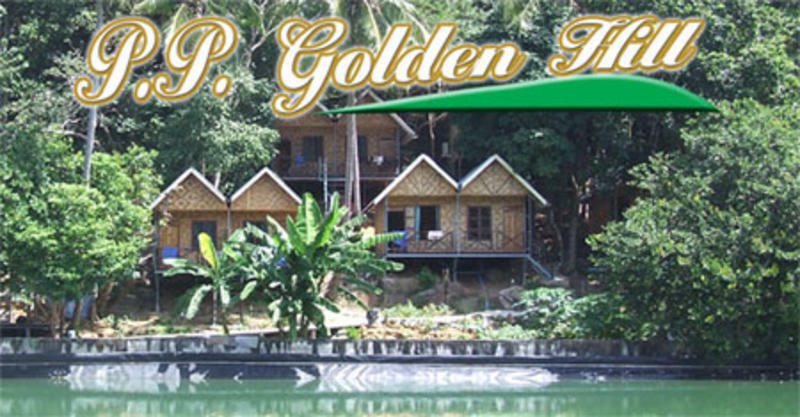 Golden Hills Bungalows is a set of bungalows and dorms with swimming pool and pool bar aimed at backpackers and those looking for a fun time. It is run by english staff who are always willing to take the time to help you have an awesome time in Phi Phi and share thier local knowledge with you. Ranging from the best place\'s to take photos, snorkel with sharks, do some shopping, cliff jump, eat and of course party. We encourage socialising and have a common area where you can share a beer or a bucket with friends old and new. We have cable TV and large selection of DVDs and books for when you wanna chill out and free wifi for those with laptops (Computers on the way for everyone else). All rooms are en suite, have balconies and most have TVs. Air conditioning is available. The rooms are in excellent condition and are cleaned on a regular basis. You have a choice between a bed in a twin, double, or a dorm bed. Lockers available, just bring your own lock. We have an on site laundry service and all linen and a towel are included. Ask for directions to the view point steps. Everyone on the island know where these are. Once you reach them go past them and follow the road round and then up some different steps. This will lead up to one of the island resovoirs where you will find my hostel located to the left of this.